The Aesculapians never intended to run the Mavisbank Institution themselves, and with Hippocratic beneficence, left matters of mind to the Superintendents. Mavisbank could symbolise much. Already it has been argued that beyond simple aesthetics, it survives as emblem enlightened, with the little mavis, harmoniously blending biology and being. Furthermore Mavisbank could be seen to represent the two cultures: Science and Humanities – the giant pillars of mankind’s advancement beyond beast; pillars that remain standing despite neo-Darwinian subsidence. The symbolism is apt, and it is time for Mankind to take heed. Science is our greatest endeavour; it has eased more pain, saved more lives, and brought comfort beyond the brightest of predictions. Yet science does not traverse all disciplines with ease, and here of course, given Mavisbank’s incarnation as hospital, one can only reflect the giddy ‘headiness’ of that unease. Few references are now made to Adolf Meyer in medical literature, except to profer that we have moved on from his woolly notions; indeed within a decade of his death, as Dr Theodore Lidz remarked, Meyer was ‘little more than a name.’ It is time for this narrative to reveal the importance of Meyer in connection with Mavisbank. In doing so care will be taken to avoid the potential pitfalls of historical writing; revisionist overstatement, and corridor vision. However, if Meyer serves as one reminder for mankind it is that we must not be understood simply as biology gone wrong. Let there be clarity here: Meyer never worked at Mavisbank. Adolf Meyer (1866-1950) was a Swiss born psychiatrist who in 1892 emigrated to America where, in the early part of the following century he proved himself as the most influential figure in his profession. Why then, you may rightly ask, has Meyer any right to broker, and second-hand at that, this narrative on Mavisbank? Well the answer will reveal itself in what follows, but has a beginning for this author in walk around the derelict shell of Mavisbank with David Harrowes, the son of the last Superintendent Dr Bill Harrowes. David recalls Mavisbank as a boyhood home. Dr Bill Harrowes started out in the practice of psychiatry in 1924 under Sir David Henderson who later sent him to his own former chief at the Henry Phipps Psychiatric Clinic in the Johns Hopkins. This was, of course, Professor Adolf Meyer. In 1949, the year before Meyer’s death, from Mavisbank, Bill Harrowes published ‘Human Personality and its Minor Disorders.’ In it the theme that is exposed is twofold: firstly that mankind was now rather too eager to make a neurosis out of the ordinary ups and downs of everyday life and to imagine that every worried man is mentally disordered; and secondly the obvious truth that every personality is the resultant of mental and physical forces, and that by using these forces it adapts the environment to itself or itself to the environment. 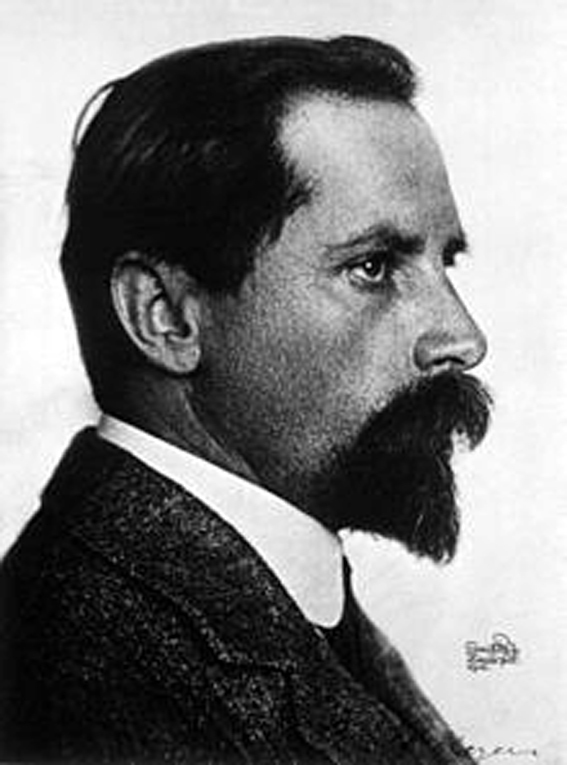 Psychobiology was the term introduced by Adolf Meyer for the study of man as a person within the framework of biology. In good part the argument profered in this chapter is that there is value in restating the Meyerian perspective. Yet Edward Shorter, a current American historian and Professor in the University of Toronto, dismisses Meyer outright, and has recorded on paper (2005) that Meyer’s views “were nothing more than an accumulation of platitudes of the day.” It should be understood that Professor Shorter is not afraid of using strong language of judgment when writing up history, and whilst this author agrees with some of his conclusions, he finds his words more often reflect Shorter than the past of which he proposes representation. For example, it was Shorter that declared, not without great consideration, that the 19th century asylums “bequeathed relatively little to today’s psychiatry.” It is curious that such an esteemed historian can carry respect when his history is so presented through bitter-taint glasses. History, in its recall, is beset by misrepresentation; add in high personal feeling, and you lose the promise of insight. It is curious that professor Shorter writes with such extreme dogma, for much in what he says is actually Meyerian. In his 1986 book for example: Bedside Manners: The Troubled History of Doctors and Patients, Shorter asserts that while medical knowledge has greatly expanded, patient care is deteriorating because disease-oriented doctors neglect to treat the whole person, including psychogenic ills, as the family doctor used to do. Although Shorter blames the stress of modern life and media hype for an increase in patient symptoms, he also deplores excessive diagnostic tests, impersonal, brief consultations and over-prescribing, along with medical schools’ purely scientific training. Alas, the view represented by Edward Shorter is similar to the standard psychiatric view, as represented by Slater and Roth in 1969, that heuristically Meyer’s approach was “almost entirely sterile.” This really is unjust, for reasons that will be argued, and all the more so in that it was given by the two successive Presidents of our BritishCollege. At the very least they fail to appreciate Meyer’s role in recognizing the importance of socio-cultural factors in the prevalence of mental disorder. Parmenides, the pre-Socratic philosopher would have understood this. Today many of our scientists imply that we are on the cusp of understanding all that it is to be human, and that as programmed genomes, we can be reduced to scientific algorithm, or worse a computer. If the likes of Richard Dawkins and Daniel Dennet accompanied Parmenides on his journey from darkness to light they would perhaps see greater depth. This is certainly not a call for spirituality, but for science to embrace what is distinctly human and not simply to look for pathological explanations of experience. Dr Elliot Slater, father of the genetics of mental illness, and whom we must thank for the psychiatric journal long brightened yellow, concluded his retirement interview by stating that he was ‘never a depth explorer.’ Of course he was referring to some of the sickening psychoanalytic explanations given to us by the likes of Freud. Elliot Slater was a brilliant man, unquestionably the best of his day, with however it was Elliot Slater who chopped down a thousand year old yew tree that had poisoned one of his depressed patients. For Elliot the answer to the mind was biologically simple and genetic causation a certainty. But as much as he was right to investigate familial predisposition, he was wrong to side-line the experience and the constant re-shaping of life. Actually despite massive investment, some of the scientific minds of today have realised that Steven P. R. Rose was correct to criticise neurogenetic determinism. 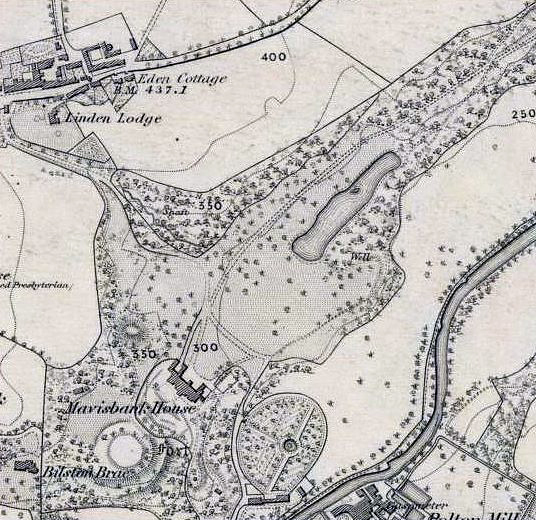 Elliot Slater blamed the tree – but the tree did not poison the man – the man poisoned himself. Elliot Slater and Sir Martin Roth enjoyed, respectively, distinguished careers as exponents of neurogenetic determinism and neuropathological determinism. These pathways are the only ones worth developing for the dementias. However entirely biological determination (in its strictest sense) can less fruitfully be applied to illnesses that are obviously more complicated than just ‘stand-alone brain.’ Here it is worth raising the fascinating truth that some of the most brilliant scientists have chosen to embrace a range of disciplines from pathology to philosophy. Perhaps the most astounding example is Roger Sperry, the neuro-anatomist who won the Nobel prize for his split-brain research, before developing a career in the philosophy of consciousness. Sadly Sperry died of Kuru contracted from the brain tissues he had studied. Sir William Osler is a further example from the century before and Dr Raymond Tallis an example of today. However you may be surprised to learn that Meyer also trained as a neurologist and neuropathologist, and that through the entire span of his career, he attended the weekly ‘brain cuttings,’ where he showed more verve than in any of his other clinical or teaching activities. Although Meyer publicly supported it, in private tuition he spoke against the “cesspool of the unconscious,” just as he did against psychoanalysis. Meyer rightly objected to rigid formulations and one-sided insistence on limited factors, such as sexual difficulties. He was correct that Freud (who also started out as a pathologist) was a sham. He discouraged most of his residents from pursuing analytic training. Indeed, Meyer generally disliked public conflict and ran toward-at least public-compromise. Meyer scholar Ruth Leys suggests that this was a heritage of his parents’ constant bickering. In developing the medical curriculum at Johns Hopkins, Meyer placed the study of the personality in a much more prominent position than at that time was given to it by any other medical school worldwide. 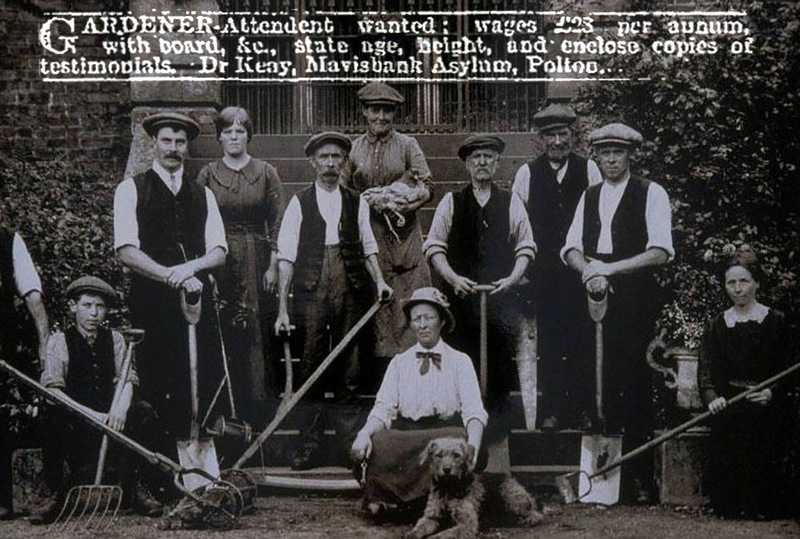 Research that I have undertaken into the Aberdeen Asylum has shown that from the outset of Institutional care, psychiatrists found that professional respectability within medicine was tied to looking for pathology, cellular or otherwise, creating a defensiveness that rears when any challenge is made to its foundation. It is understandable, therefore, that Meyer was sensitive to this potential reaction and avoided outright opposition. It is even more surprising, given the diverse and embracing nature of Meyer’s outlook that his life-long friend, with whom he lunched weekly in New York, was John Dewey the leader of American pragmatism. In a rather lovely article, S. Nassir Ghaemi argued that Meyer’s approach represented eclecticism – an approach coined ‘a vice in theory but a virtue in practice’ – to which practitioners who just want to be ‘free’ are of course attracted. William James once remarked that the basis for all philosophies lies in the personalities of philosophers. On this basis, it has been argued that Meyer ‘congenitally incapable of disagreeing with any person,’ was so open-minded that he left his profession (psychiatry) prey to hard-headed biological radicals and psychoanalytic dogmatists. Why did I fail to be explicit? . . . I should have made myself clear and in outspoken opposition, instead of a mild semblance of harmony. . .
What was it that failed to get across? Did I pussyfoot too much? . . . The very fact that my Salmon lectures never came through-why and how? An unwillingness to declare war? My plan failed to be outspoken. . . . Leaving it to attempts to compromise? All this has been lost, but some of it re-framed by Engel, in his wonderfully eloquent but terse 1977 paper in Science: The need for a new medical model. Engel’s biopsychosocial model became influential in the context of the modern critique of medicine and the recognition of medicine’s limitations. The model was not only a challenge for psychiatry, but also for medicine in general. In his paper, Engel acknowledged the historical significance for his model of the work of Adolf Meyer, but did not recognise Roy Grinker, who without Engel’s eloquence had described such a model in 1954. However, it is indisputable that the founding influence for the biopsychosocial model was Meyer and its continuing appeal is the critique of biomedical reductionism. Harrowes, Dr William McC (1949) Human personality and its minor disorders; Edinburgh; E. and S. Livingstone. Morgan, Edwin (Winter 2000) The Contribution of Iain Crichton Smith; Scot Lit 23. Two Girls Singing: Really the only thing I would say about that very fine poem (it was one of the author’s favourites, and he was right) is that his often-used method of contrast has a freshness, an unexpectedness about it that – once you catch it – underlines the meaning of the poem. Yellow is always a very negative colour in Smith, and it’s used twice here, referring to yellow sodium streetlights. The streetlights not only have this alarming colour, but they march in strict ordered lines along the dark road. The sinister authoritarian predictability of the streetlights is contrasted with the sudden unpredicted almost wordless voices of the two girls singing on the bus. British Psychiatric Bulletin (Feb 1981) In Conversation with Eliot Slater; Dr Barraclough’s interview with Eliot Slater; In two parts. Craddock, Nick et al (2008) Wake-up call for British psychiatry. British Journal of Psychiatry; 193: 6-9. Beveridge, Allan (Dec 1997) “The recent triumphal march of biological psychiatry . . .” Lecture to the Royal College of Psychiatrists. Scottish Division. Winter Meeting, Edinburgh.